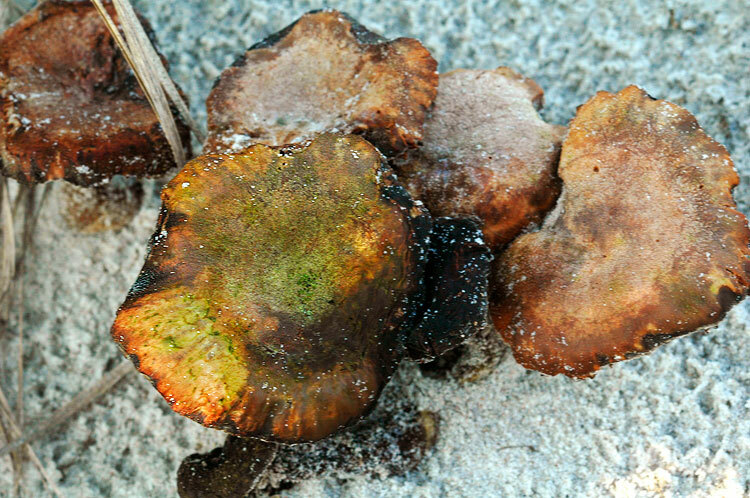 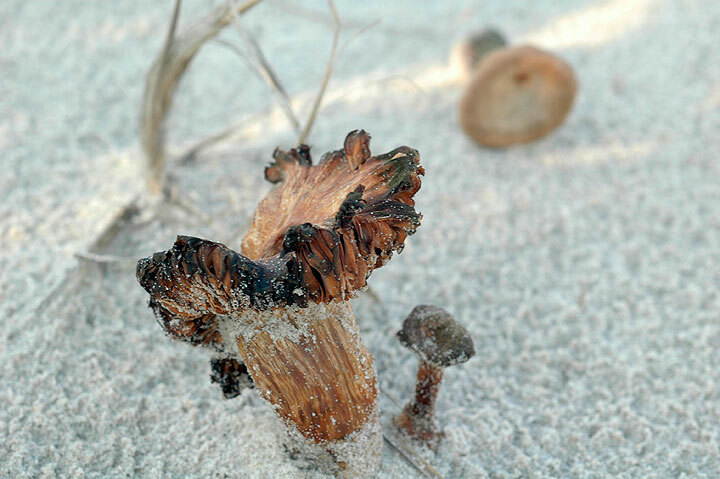 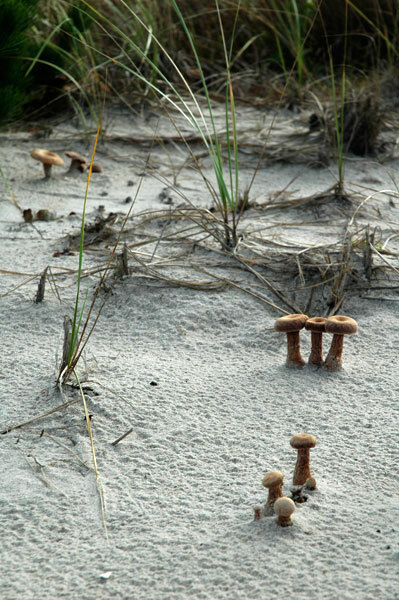 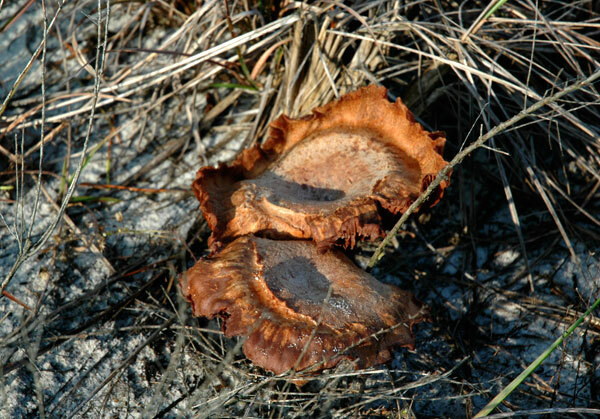 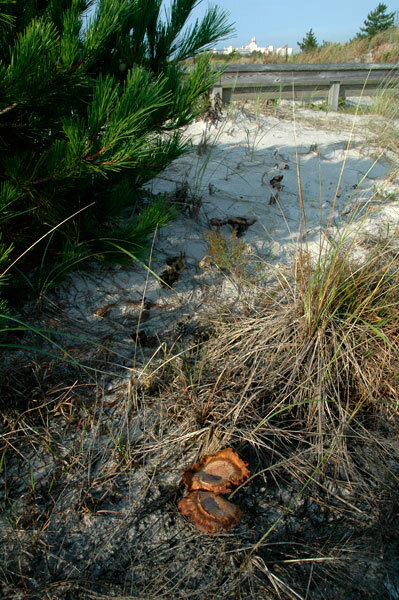 It's been so wet this summer, mushrooms are growing in the beach sand in New York on Long Island. 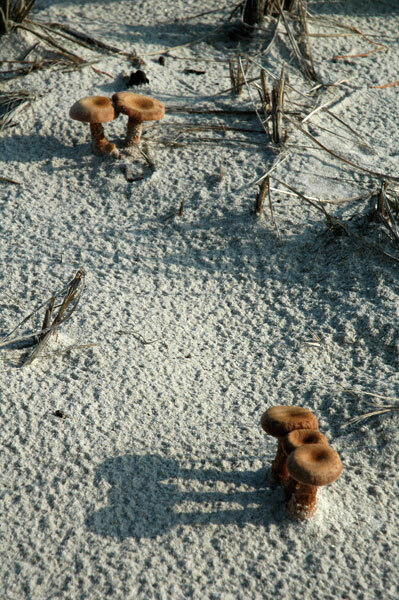 Moss and mold in turn are growing on the mushrooms in the rain-pocked sand. 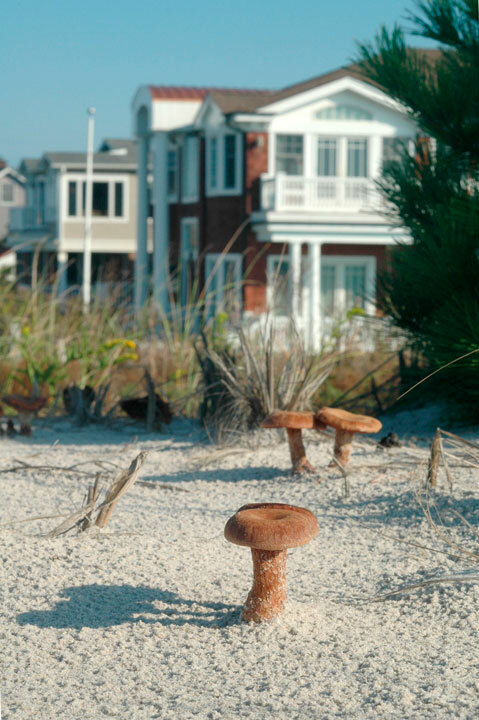 In the background in one of the photos is ex-Senator D'Amato's mini-White House.